HTC has launched the HTC Salsa, it's "Facebook phone" in India. The Salsa will be powered by Google's Android 2.3 operating system and will feature HTC's Android skin HTC Sense. With its emphasis on easy social connectivity, the HTC Salsa will provide one-touch access to the key functions of Facebook, integrated throughout the HTC Sense experience, via a dedicated Facebook button. According to Faisal Siddiqui, Country Manager, HTC India, "HTC has always understood that different people want different things and the new HTC Salsa offers special new ways to socialize through a mobile device. With Indians increasingly getting hooked on to the social web, we wanted to create the ultimate socially connected phone which makes this experience simple and convenient." The HTC Salsa is powered by a 800 Mhz Qualcomm processor and features a 5-megapixel camera, a 3.4-inch with a 480 x 320 resolution, and a VGA front-facing camera for video calling. Previously, HTC released high end Android phones such as the Incredible S and the Desire HD but none of these devices featured a dedicated social networking experience. 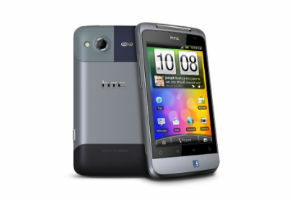 The HTC Salsa will be available for Rs.22,000 at all authorized HTC resellers across the country.